The B-Seen Eton Breathable Jacket conforms to EN4712003: +A1 2007: and has EN343 Breathable Fabric. 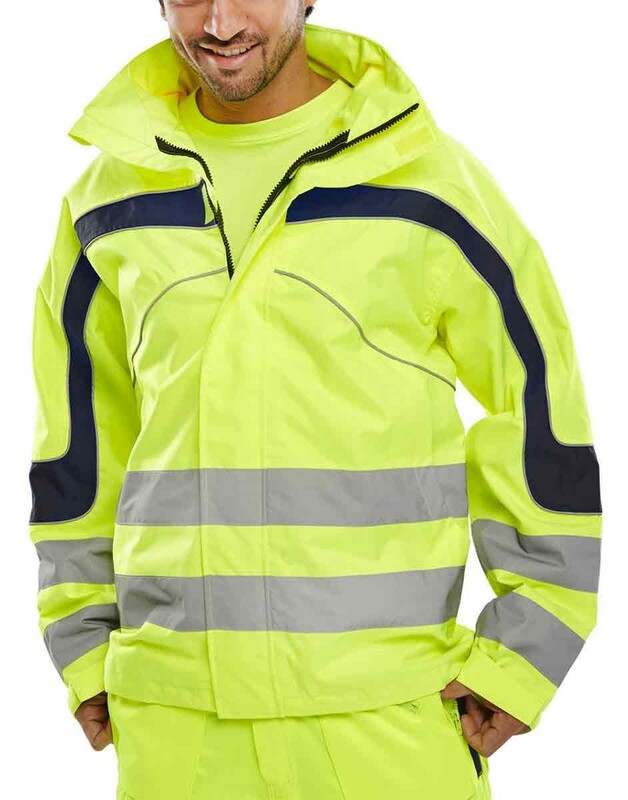 It is a waterproof jacket with fully taped seams. It has a zip front closure to neck and a Velcro fastening storm flap. It has adjustable cuffs and utilizes 6 cm retro reflective tape. It has retro reflective piping and 2 zip fastening front pockets along with a concealed hood and hip draw cord.